Innovative mobile and modular construction techniques could hold the secret to solving the current A&E crisis, it was claimed this week. Recent reports reveal how hospitals up and down the country are struggling to cope with increased pressure as the number of people visiting casualty departments swells. With news of patients waiting in ambulances outside hospitals due to a shortage of beds, and makeshift facilities being created in tents in carparks, it is clear something urgently needs to be done to help trusts keep up with demand. While staff shortages and a lack of out-of-hours primary care provision are partly to blame, hospital infrastructure is also bursting at the seams. But modern construction techniques could offer one solution to alleviating the problem, according to experts. 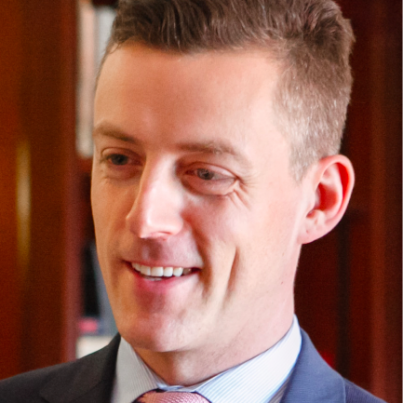 Nick Griffin, head of regions at Portkabin Hire, said: "We are definitely seeing increased demand for a range of fully-serviced interim healthcare buildings – surge wards to provide additional capacity during peak winter periods and for buildings such as surgical clinical decision units to reduce the pressure on A&E departments." But he said many hospitals only utilise the solutions when they have been strategically planned, and have not considered procuring them as a reactive solution to the current problems. 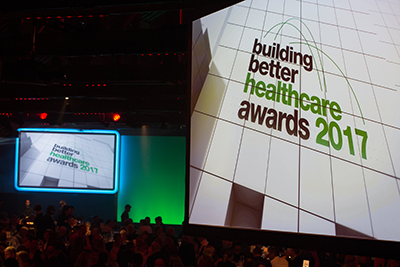 "The biggest challenge in the provision of hospital buildings for short-term clinical use is the level of fitout required," he told BBH . "These buildings are complex, specialist and highly-serviced facilities. "However, the demand for health services and the pressure on existing A&E services continues to rise year on year so we would work with the trust to develop a strategic plan that would ideally take a longer-term view – and buildings can still be supplied in just a few weeks once the necessary NHS approvals are in place." Offering advice to trusts looking to bring in additional space over the winter, he added: "To provide additional clinical space extremely quickly in a crisis situation, we can help by relocating offices or other support facilities such as storage into a single modular building. This type of solution can free up space elsewhere in the hospital for extra beds or to accommodate clinical services. 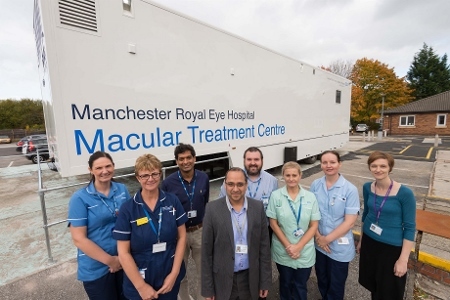 These buildings can be supplied in a matter of days and can also be used to create walk-in assessment units directly attached to A&E departments, enabling trusts to prioritise and reduce waiting times for more-urgent cases." The Princess Alexandra Hospital in Harlow, Essex, is one such forward-thinking trust. 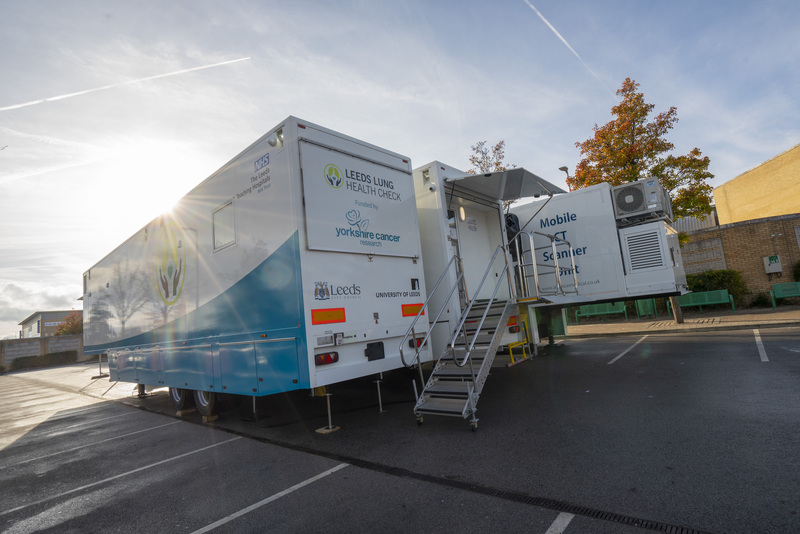 It commissioned Portakabin Hire to deliver a fully-serviced 20-bed modular ward facility to provide additional space over the winter. This was supplied in 10 weeks and is being hired for an initial one-year period. The facility came complete with climate control systems, data communications, fire alarms, nurse call systems, bedhead trunking, medical gas services, automated doors, video entry, furnishings and a link bridge to the main hospital. The 747sq m building boasts a mix of four-bed and single ensuite rooms, a large reception area, nursing station, shower rooms, kitchen, utility rooms, quiet room and stores. Watford General Hospital has also used the company's solutions for a surge ward to reduce the pressure on emergency care services. The 18-bed interim ward was designed to be used for three years. Griffin said: "These projects illustrate how interim building solutions can be developed to help healthcare providers meet waiting list targets and response times during peak periods and while longer-term plans for expansion are progressed." 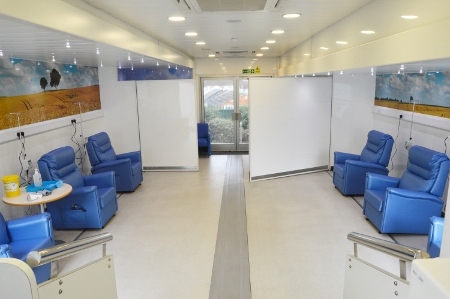 EMS Healthcare has also seen increased interest in modular and mobile buildings from NHS and private healthcare operators. Its chief executive, Keith Austin, told BBH : “This isn’t the first time that we’ve seen pressure on A&E escalate at this time of year and it won’t be the last. We’re increasingly receiving enquiries from trusts looking for a new type of accommodation assistance to solve their individual crisis needs. And we’ve seen first-hand how trusts, clinical commissioning groups and health partners can work together to deliver this type of solution for the benefit of all." 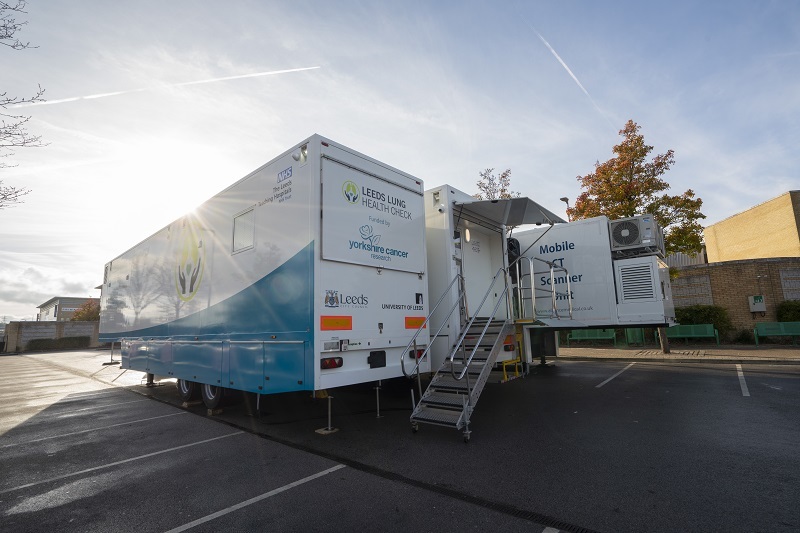 Among its clients is Norfolk and Norwich University Hospitals NHS Foundation Trust, which relieved pressure on its busy A&E department over winter by installing a temporary urgent care centre. 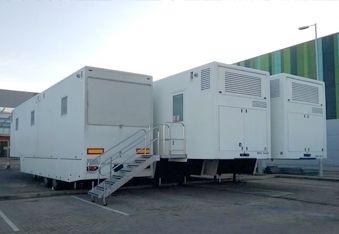 In less than a week a 100sq m ready-made medical trailer was set up outside the A&E department. Connected by a covered walkway, patients with minor injuries were referred to, and treated within, the temporary facility. It provided them with three additional consultation rooms supported by a main waiting area with separate children’s area, reception and toilets as well as a private office for staff. “This project is a great demonstration of how trusts are thinking creatively to solve A&E issues while improving efficiency and service," said Austin.